Momentous news – The City steps forward to support TNR in its municipal budget. What we have all been working towards has finally happened! In late May, PAF was contacted by a City official who advised that annual funds have been set aside within the municipal budget for Trap/Neuter/Return of feral cats within the City's jurisdiction. A cheque for $10,000. was presented to PAF at a meeting at City Hall last week, representing some retroactive assistance for our work. A letter from the CNV advises 'an annual contribution beginning in 2014 onward of $2,500.' will be forthcoming from within the Animal Control budget. We wish to sincerely thank Mayor Mussatto and all City of North Vancouver Councillors for their progressive participation and commitment to assist both the residents and the feral cats in our community. Thank you to the City for recognizing the importance of this work. Our delegation work does not stop now. We will be approaching other municipalities to ask that they take a similar progressive position with TNR in their jurisdictions. Grumpy Cat is all over the internet and the rumour is that a movie deal is in the works for GC! Well, we have our very own version of Grumpy Cat and she's got attitude! Several years ago Tim called us to say he had a big fluffy long-haired momma cat and a couple of little ones hanging out in his North Vancouver backyard. Tim knew they were hungry and that momma was feral so he started feeding them in his carport. PAF loaned him a trap and, armed with detailed instructions, Tim proceeded to trap them all. The young ones were in the 5 - 6 month old range and pretty wild so were neutered and returned to Tim's backyard as was Momma after her spay. For years, the kitties have faithfully showed up for meals but aren't inclined to come inside Tim's place. Success! A less than impressed Momma cat was duly sedated for a short time while her thick, matted coat was shaved off and she was also dewormed and de-fleaed. Click the link below to see her 'before' and 'after' photos. Even if she was a bit grumpy about the whole process she is now a sleek, cool kitty for the hot summer days ahead ! There are many ways to help feral cats and so many wonderful people are willing to do just that. Thank you to Tim for his steadfast care over the years. On Sunday, June 2nd, Korna Natural Pet Supplies store (Marine Drive at Pemberton St) held its annual 'Customer Appreciation Day'. The weather co-operated and it was a gorgeous sunny day for all the two and four legged participants! A section of the parking lot was roped off and decorated with canopy tents and, at Korna's invitation, many of their suppliers and some local pet related businesses set up tables to greet Korna's customers. There was even a large bouncy castle (in the shape of a dog) for the little children. Lots of treat sample bags were handed out and, for all the excited canine attendees, there was even a 'trick for treat' game for those food-oriented noses! Some of the proceeds collected from 'Customer Day' were allocated to Pacific Animal Foundation and we wish to thank Antony Pae, owner of Korna, and all the wonderful Korna staff for their continued support of PAF. Korna is continuing to collect donations for us through Natura product purchases (Innova, Evo, and California Naturals) throughout the month of June. Click on Korna to see photos of the fun day! On Thursday, June 27th, Maddie's is offering a FREE WEBCAST to showcase their research and we hope you will sign up and watch which promises to be a very informative hour. (6pm West Coast time). A quote from The Centre states – 'We can't save cats by doing what we've always done. We have to do something new'. In this webcast, Dr. Hurley will examine assumptions underlying traditional sheltering practices and compare them to the most recent evidence-based information regarding the health and behaviour impacts of stress on sheltered cats and the statistical likelihood of a live outcome for an unsocialized cat taken into a shelter. Please take a look at the following link and sign up if you are interested! If we are knowledgeable about the latest research and best practices, then we can talk to our public officials and shelter personnel about innovative approaches that they can and should implement. At every opportunity we should speak up for our feline friends. I am delighted to know that Maddie's considers TNR a positive approach for any community . . . . but then we've all known that from our long years of support for it. 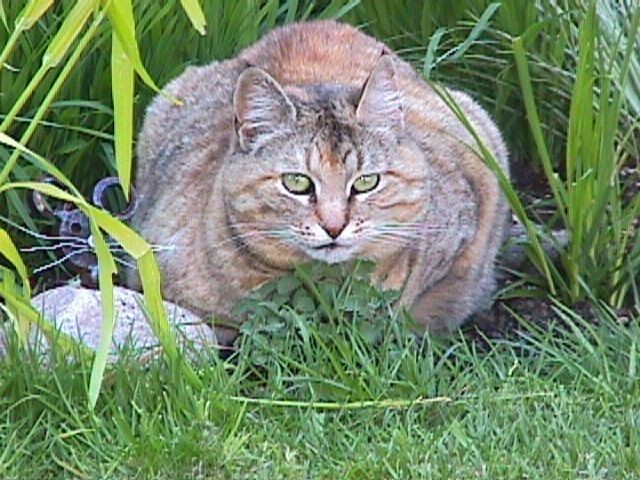 PAF corresponds with many feral cat organizations in Canada and the US. Our common mission is to promote Trap/Neuter/Return (TNR) for feral cats and to prove to public officials how effective it is in lowering the number of street births. The groups share helpful information and ideas to support our mandate to help both feral cats and community residents. PAF has multiple rescue situations we are dealing with at the moment but we wanted to take the time to update all of you with some of the recent PAF news. Thank you all, once again, in whatever supporting role you give to PAF and to all the animals in need. TOGETHER, we are changing policies and practices to a more humane, loving environment for them. Also, a sincere and heartfelt thank you to all the veterinarians and staff of Mosquito Creek Veterinary Hospital, Blueridge-Cove Animal Hospital, and Norgate Animal Hospital for their outstanding veterinary care for the little ones we bring through their doors. We are so grateful for your strong assistance and dedication.